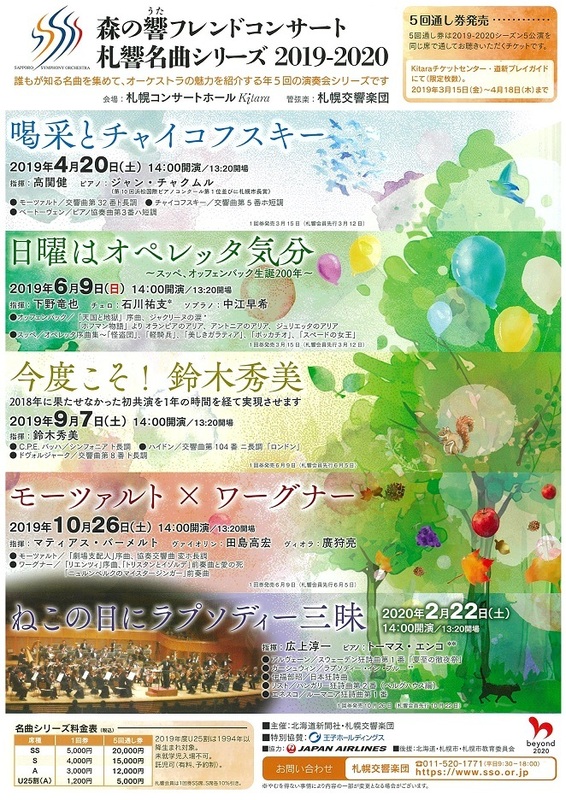 Sakkyo Masterpiece Series is Weekend matinee concert presenting masterpieces under one theme. For 2019-2020, we will have Matthias Bamert, Chief Conductor of the orchestra, Junichi Hirokami, Friendship Guest Conductor, Ken Takaseki, Tatsuya Shimono, and Hidemi Suzuki. As for the soloists, we will perform with Takahiro Tajima, our concertmaster, Akira Hirokami, principal viola, Yuji Ishikawa, principal cello, Can Cakmur, piano and Thomas Enhco, piano. ※Presale is only at Kitara Ticket Center. Starts at 10am. ※Kitara Ticket Center and Doshin Playguide start at 10am. ※Single tickets for Masterpiece Series will be on sale in March.